According to reports, Indian Air Force has warned its officers and their families against using Xiaomi Smartphones, citing security concerns. In an alert issued by The IAF to air warriors and their family members, It clearly accuses Xiaomi, a Chinese Smartphone maker of sending user data to remote servers located in China and is certainly a security threat. IAF has also claimed that the location-sharing feature of applications may be fraudulently used to track and target people, especially those working in defense, scientific, industrial research or other government sector. IAF’s concern was obvious, since it came across PhoneArena’s report, that explained how Chinese government could be accessing all the users data stored on the Servers in China. PhoneArena’s report says that, Xiaomi owns IP address in the range 42.62.48.0 – 42.62.48.255 and the company’s website owner is www.cnnic.cn. CNNIC is the administrative agency responsible for Internet affairs under the Ministry of Information Industry of People’s Republic of China. It is based in the Zhongguancun high tech district of Beijing. This is not the first time Xiaomi is facing such a serious accusation, It is currently facing an investigation in Taiwan for alleged cyber security threat and the government there is investigating the situation. Several months ago when the Chinese manufacturer hit the Indian Market, Security researchers and companies had shown security concerns, given that we have many border issues and Bad Relations with China. Earlier, Finland based security software maker F-Secure claimed that the Xiaomi Redmi 1S smartphone was sending back user’s private data to servers based in Beijing, China. A report from F-Secure found that the device’s IMEI number, customer’s phone number, phone contacts and text messages received were all shared and there was no way for customers to opt out. To this, Xiaomi said that its Mi Cloud service was enabled by default and user’s private data was synchronized automatically with the Mi Cloud, which is similar to Apples iCloud service and it has Fixed this issue by pushing out a software update that disabled the service by default and making it an opt-in. Xiaomi Phones are now sold in seven countries in Asia including India. With the success of Flash sale that ended in just 2 Seconds for 1st Mi 3 Sale, Indian Market is very Important for Xiaomi. 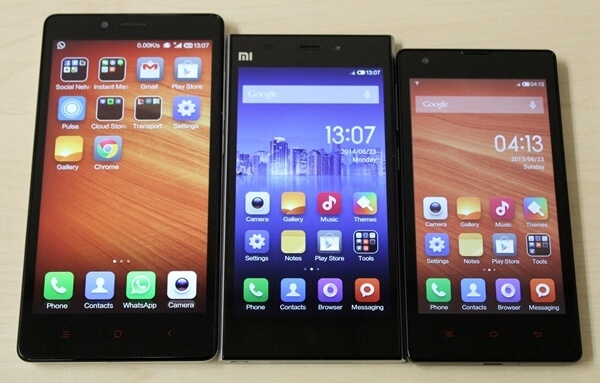 To tackle the Privacy Issue, Xiaomi has taken big Decisions. The company is migrating international user data to servers outside of China. “With this migration, we are expecting to cut network request latency for users in India by up to 350ms, and users in Malaysia to experience 2-3x faster Mi Cloud photosync,” International VP of Xiaomi Mr.Hugo Barra explained. Personally I don’t get this; why target only china? when US based apple iPhone has been sending your data to iCloud in US and Samsung to south Korea. Isn’t this Biased view?. I hope the data migration Decision will solve all the privacy Issue and restore the trust among the users.